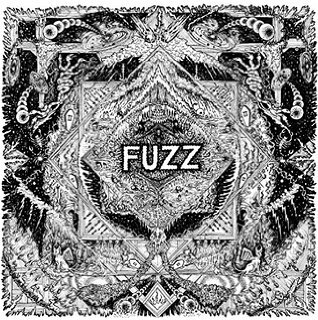 Fuzz is a moniker more fitting for Ty Segall than Yeezus is for Kanye’s bigger than life persona. Segall has been mainly a hipster household name for his eight album strong, fuzzed out solo discography, but in Fuzz (along with Chad Ubovich of Meatbodies and Charles Moothart) the “fuzz” has reached its full effect. Along with their self-titled debut which blessed the world back in 2013, sophomore release II sounds as if 60’s era British psychedelia knocked some boots with metal and hopped in a machine that traverses both time and continents – landing in sunny Southern California and drinking some Orange Julius on the beach. Sabbathian metal notes of epicness have been sprinkled throughout Fuzz’s songs before but such is more prevalent on II, particularly on “Pipe.” The track that follows, “Say Hello,” is probably the most br00tal of them all, with its opening tribal-esque drums and hauntingly shredded guitar solos. A piece de resistance, II will prove a hard effort to follow up. What Witch is for King Tuff‘s Kyle Thomas, Fuzz is for Ty Segall – a magnificent outlet meant to showcase his unparalleled and motley musical prowess.